Listings of high school yearbooks for Peekskill High can be found below. You will find former students who are seeking yearbooks, those looking to sell a yearbook and general yearbook requests among the Peekskill High yearbook listings. This yearbook section was created to help alumni post yearbook classifieds. I never received a year book. My mother actually had me put in state care before I could even graduate with my class or get anything. So, just wondering what the price would be? Lost my yearbooks and diploma in Katrina when I was living down south. Would like to obtain another copy. Lost my yearbook.. darn darn.. Please if you have one for sale.. I need it! I'd like both 1966 and 1965. THanks! The Class of 1965 is planning a 50th Reunion in 2015. 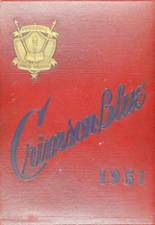 I would like to buy or borrow a Class of 1965 yearbook that hasn't been written upon to create high resolution scans of the seniors etc for display at the reunion. Requesting a 1965 year book.. I also need a 1966, the year i graduated, but had so many friends in 65, that I would like to have it. Thanks!